I CAN’T BELIEVE YOU TRIED TO STEAL THE LAWN MAN’S TRUCK! Posted in Uncategorized | Comments Off on I CAN’T BELIEVE YOU TRIED TO STEAL THE LAWN MAN’S TRUCK! BUSTED – BUSTED – BUSTED – BUSTED! This is from the files of Montgomery County King of news Scott Engle. It was like any other day for a local landscaper. He was busy tending to the lawn of one of his clients just outside of Willis when things went downhill. It didn’t take long for a man to come along and jump into his truck packed with equipment and take off. A nearby neighbor noticed the suspect in the landscaper’s truck. They both took off after the unidentified man in the neighbor’s car. Montgomery County deputies were called out and they eventually caught the suspect. But that was after he lead the owner of the truck and cops on a chase. But the suspected bad guy didn’t just get out the stolen truck, he flipped it. Deputies heard the suspect running through a heavily wooded area and that’s where they collared him. Tonight he is behind bars. Unfortunately, he has not been identified. Thanks Scott for the pictures and another interesting story from your Montgomery County files. Do you know this man? 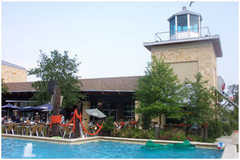 Posted in Uncategorized | Comments Off on WHAT HAPPENED AT SAM’S BOAT IN THE WOODLANDS? Posted in Uncategorized | Comments Off on $45,000 IN HOUSING ASSISTANCE FROM THE CITY IF YOU QUALIFY! THE SO CALLED BLARAGE SALE IS BECOMING A HUGE SUCCESS! Posted in Uncategorized | Comments Off on THE SO CALLED BLARAGE SALE IS BECOMING A HUGE SUCCESS! ITEMS ARE MOVING LIKE HOT CAKES! A lot of people laughed at the idea of selling items on a blog. I’m laughing all the way to the bank. The Blarage sale has been a huge success. 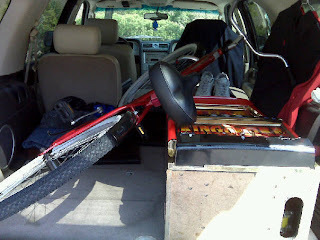 I’ve already moved several items including my bike and slot machine. Make sure you check out the Blarage sale and see if there is something you want. The picture above shows some of the items I brought to work so that buyers can pick it up in town. I’m sure no one wants to drive to where I live to pick it up. Convenience is my motto at the Blarage Sale! LOUISIANA GOVERNOR SAYS REPUBLICANS NEED TO OFFER SOLUTIONS AND NOT JUST SAY NO ALL THE TIME! Posted in Uncategorized | Comments Off on LOUISIANA GOVERNOR SAYS REPUBLICANS NEED TO OFFER SOLUTIONS AND NOT JUST SAY NO ALL THE TIME! DO YOU AGREE WITH HIS NEW POSITION! Louisiana Republican Gov. Bobby Jindal urged his party in an interview Tuesday to shift to offering health care solutions instead of just rejecting what President Barack Obama and the Democratic majority in Congress are proposing. “I think now is the perfect time to pivot and to say, not only here’s what we’re against, and not only here’s how we’re going to contrast ourselves, but here’s what we’re for,” Jindal said in an interview Tuesday with POLITICO. 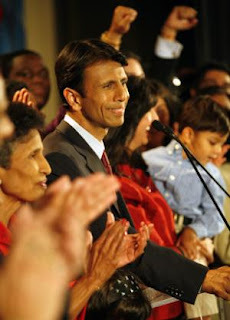 Jindal acknowledged that the Republican Party for years had been too slow to stake out positions on the health care debate “to our peril and the nation’s peril.” “I think that in some circles, it was viewed as a Democratic issue,” said Jindal, who served in top posts at the Department of Health and Human Services during the Bush administration and ran his state’s health department in the ’90s. The governor, who has downplayed talk that he could be a presidential contender in 2012, ticked off what he said could be areas of consensus between the two parties to address the issue: coverage of pre-existing conditions, access across state lines and between jobs, funding for electronic medical records, malpractice reform, Medicare and Medicaid reform, and expanding health-savings accounts and insurance purchasing pools. DONATE YOUR BOOTS TO CHARITY AND GET A DISCOUNT! Posted in Uncategorized | Comments Off on DONATE YOUR BOOTS TO CHARITY AND GET A DISCOUNT! TURN IN THE OLD FOR NEW AT BAKERS! In recognition of its National Boot Week, Bakers invites shoe lovers everywhere to donate a pair of gently worn boots to people in need starting October 4 thru October 13. 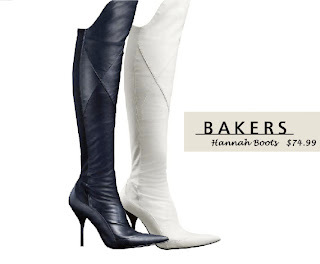 In return, Bakers will reward each customer who donates 10% off a pair of new boots! All 222 Bakers stores will donate all boots collected from customers to Soles4Souls. In addition, Bakers will collect a $1 donation at the register from any customer that chooses to provide further support to Soles4Souls. “Soles4Souls is a wonderful organization that brings humanity and help to the world with a generosity of spirit and significant footwear donations. They touch millions of lives worldwide and Bakers is thrilled to assist their efforts by giving our customers the opportunity to show their support for those in need. Forgotten shoes just sitting in closets all over the United States are someone else’s dream come true.” said Peter Edison Chairman and CEO of Bakers Footwear Group. Every 9 seconds, Soles4Souls, Inc. gives away another pair of shoes to someone in need. The shoe charity has earned glowing endorsements from Hollywood stars and professional athletes, but the people that truly make the non-profit organization effective are those who clean out their closets to personally drop off their “gently worn” boots at participating Bakers locations. Soles4Souls and BAKERS will be collecting your gently worn footwear and/or monetary donations to ship the shoes to a person in need, whether they are victims of a natural disaster or subject to living in extreme poverty. It is estimated that Americans have 1.5 billion pairs of unused shoes lying in their closets. The charity can use each and every one of these pairs to make a tangible difference in someone’s life. “We are happy to be partnering with Bakers during their National Boot Week campaign,” said Wayne Elsey, Founder and CEO of Soles4Souls, Inc. “Bakers really understands the overwhelming need for something as simple as shoes and what a difference even one pair can make in an individual’s life,” he said. For participating Bakers locations please visit our website at www.bakersshoes.com. ANDREA WHITE IS STANDING UP FOR HER HUBBY IN THE SENATORIAL RACE! Posted in Uncategorized | Comments Off on ANDREA WHITE IS STANDING UP FOR HER HUBBY IN THE SENATORIAL RACE! THE POLITICAL SEASON IS HEATING UP AT THE WHITE HOUSEHOLD! Last week the National Republican Senatorial Committee started attacking my husband, Bill White, because they see momentum building in his campaign to be your voice in the U.S. Senate. Please help us send a message that Texans support a strong new voice for all Texans, not just the special interests. Bill and so many other volunteers are on the phones today to boost our fundraising totals before today’s deadline for financial reporting. With Bill and I personally matching every donation, the impact of any dollar you give is doubled. Double your impact by donating $5 or more in these final hours before midnight tonight! Through the last deadline, June 30, our team of Texans raised more money from more people than all other candidates — Democrats and Republicans — combined. Let’s keep this momentum going! To help, Bill and I have pledged to match every donation dollar-for-dollar through the September 30 deadline. Donate $5 or more before midnight tonight and double your impact! We’ll never forget your support to help us bring new leadership for Texas. Sincerely, Andrea White P.S. The deadline is just hours away. After you’ve made a contribution, please forward this message to 5 of your friends today. STATE SENATOR DAN PATRICK TALKS ABOUT ILLEGALS IMMIGRANTS AND HEALTHCARE REFORM! Posted in Uncategorized | Comments Off on STATE SENATOR DAN PATRICK TALKS ABOUT ILLEGALS IMMIGRANTS AND HEALTHCARE REFORM! GETTING AROUND TOWN: CITY COUNCIL EDITION! Posted in Uncategorized | Comments Off on GETTING AROUND TOWN: CITY COUNCIL EDITION! MJ, CAN I BORROW YOUR WHEELS FOR THE WEEKEND? 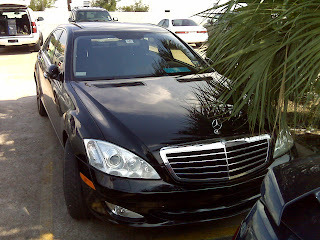 There are several Houston City Council Members who get around town in a Mercedes Benz. But not all of them are driving the top of the line Benzo. 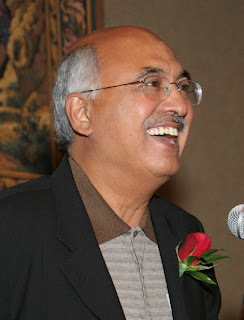 Councilman MJ Khan is one who has his feet on the pedal of a high end car. He drives the Mercedes Benz S550 and we’ve already talked about that price tag here on the Insite. Khan’s black monster was spotted at his campaign headquarters in the Galleria area. Hey Councilman, can I borrow it for the weekend? JOE WILL BE IN COURT WEDNESDAY FOR THOSE 1,000 ANIMALS SEIZED FROM HIS PROPERTY! Posted in Uncategorized | Comments Off on JOE WILL BE IN COURT WEDNESDAY FOR THOSE 1,000 ANIMALS SEIZED FROM HIS PROPERTY! SHOULD HE LOSE ALL OF HIS ANIMALS! The fate of more than 1,000 animals taken by the SPCA from a northwest Harris County home could be decided by Wednesday afternoon. Justice of the Peace Dale Gorczynski could determine at the 2 p.m. hearing whether the 1,045 seized animals were abused. The owner, who FOX 26 identified only as Joe, is expected to have a lawyer defend his care for the animals. The SPCA seized all the animals from the home on Sept. 23, calling it one of the largest animal abuse seizures in the history of the United States. A pony, puppies, chickens, parakeets, ducks, gerbils and snakes were among the animals found inside the home. The man, who wants to be identified as Joe, says he was simply trying to make a living at his home. That home in northwest Harris County on Breen was raided Wednesday night by deputy constables and the SPCA. More than 1,000 animals were seized, but Joe says the animals were for his business. He sold them as pets at a local flea market, a decision he made after losing his truck driving job. “We all know the economy is tough I’m behind on my child support, I got behind on my mortgage, and I’m trying to fight it.” Joe says. Joe maintains the animals were not neglected. Despite that, he’s due in court next week to answer to a judge about the care of his animals. THE GRANDMA BANDIT TAKEN DOWN BY THE FBI! Posted in Uncategorized | Comments Off on THE GRANDMA BANDIT TAKEN DOWN BY THE FBI! ARE YOU SHOCKED BY THIS? This morning, members of the Houston FBI Bank Robbery Task Force arrested the “Grandma Bandit”, Theresa Gaas, of the 1100 block of Egypt in Houston. She was arrested in her car near the residence. The vehicle was a white Chevrolet, which matches the description of a vehicle seen leaving the two banks she is accused of robbing last week. She is 56 years old. She was arrested without incident. Investigators credit good investigative work, coupled with cooperation from the public for this arrest. 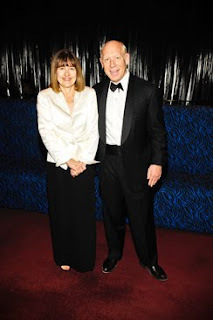 FORMER WIFE OF LLOYD BENTSEN SAYS BILL WHITE IS MATCHING HIS OWN CONTRIBUTIONS! Posted in Uncategorized | Comments Off on FORMER WIFE OF LLOYD BENTSEN SAYS BILL WHITE IS MATCHING HIS OWN CONTRIBUTIONS! A DOLLAR FOR DOLLAR MATCH UNTIL THE END OF THE MONTH! As you can probably imagine, I hold one seat in the United States Senate very dear to my heart. It is the one from which my husband served for nearly a quarter of a century. Throughout his service in the Senate, Lloyd held a deep sense of our nation’s special responsibilities in the world and worked tirelessly to see them fulfilled. He proudly heeded the call to public service and felt fortunate to represent the people of Texas. As you know, I do not endorse many candidates, my nephew Ken Bentsen being the notable exception. I am making another exception for Bill White. I strongly support Bill for the U.S. Senate, and I ask you to join me in working for his cause in whatever way you can. Right now that means making a contribution to Bill White’s campaign before September 30, which he’ll match dollar-for-dollar to double your impact. I have known Bill for many years and know firsthand his call to public service. He has earned my respect as a person and a leader. He is a visionary with the drive to succeed. He is the right man, at the right time, to serve our state as Lloyd once did. Bill is a nationally recognized leader on energy policy. He served as Deputy U.S. Secretary of Energy when Lloyd was Secretary of the Treasury. They were two of the most senior Texans in the Clinton Administration, and Lloyd thought that Bill did an outstanding job. Bill has been a strong mayor, making government more open, diverse, responsible, and accountable. He led Houstonians in meeting the challenge of Hurricanes Katrina and Rita, winning national recognition from the John F. Kennedy Foundation which presented him with a Profile in Courage Award. 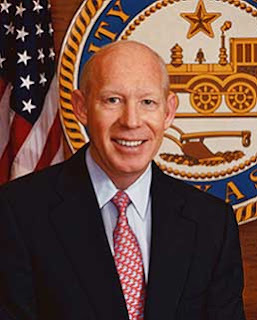 We need more leaders of Bill White’s talent in Washington today. I hope you will support him for the United States Senate. Make a contribution to Bill White’s campaign before September 30, and he’ll match it dollar-for-dollar to double your impact. Thank you for joining me to support his campaign today.